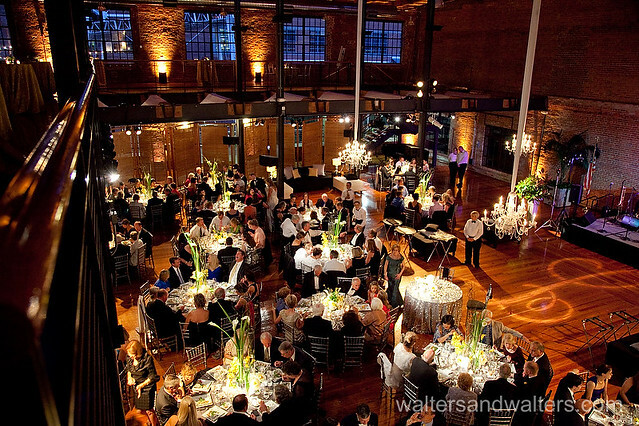 Formerly a tobacco warehouse, Bay 7 is 10,000 square feet of flexible rental space for parties, networking, conferences, weddings and film production. Century old brick and wood, along with panoramic windows and a wrap around balcony make Bay 7 an unforgettable space. To book Bay 7 at American Tobacco, call Angus Barn, our exclusive managing agent, at (919) 787-3505. You can also contact Bay 7 HERE. Bay 7 at American Tobacco is catered and managed by the legendary Angus Barn. Accommodating up to 400 people, Bay 7's urban chic design now includes a full kitchen featuring cuisine from the Angus Barn. Customers will have a large array of menu options and style of service, from cocktail parties to plated, sit-down dinners. 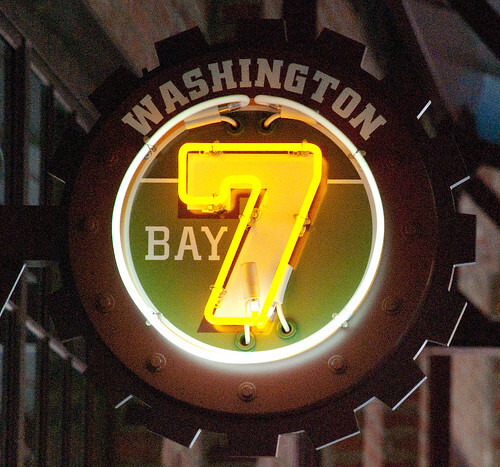 Learn more about Bay 7 menu and service options. If you are interested in having your event in Bay 7, please contact the Angus Barn at 919-787-3505 or or visit AngusBarn.com.